Which comes first, the story or the genealogical research? In the case of Grandpa Jens and the buffalo, I heard the story long before I did the research. (I didn’t do much research at 4 years old.) It was that story that interested me in Grandpa Jens and Grandma Marie’s life. 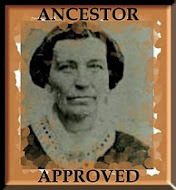 After several years of digging, I found out that Grandma Maren, as my mother called her, was really Grandma Marie. And she was expecting a baby as she made that trip across the plains in a handcart! I also discovered that she shared that handcart with others and probably didn’t have to push or pull it herself even though Jens was lame and usually behind or ahead of the rest of the company. See what I mean? It’s a fascinating story and it became ever more fascinating as I probed for details. Out of the simple story of my third great grandfather encountering a herd of buffalo while alone in the middle of nowhere, the history grew into a 45 page document complete with illustrations and footnotes. On the other hand, I knew nothing about the almost mythical Anna White who married Grandpa Suel as a second wife. However I wanted to make Suel’s history complete, so I began to research Anna’s life. Pieces began to fit into the puzzle as I found bits of information about her. I remembered the funny old woman Settie that my grandmother mentioned as having lived with her family when Grandma C. was a young girl. Now Settie's story fell together with Anna White's story. Settie was the only daughter of Anna White. According to Grandma C. she was deaf and dumb. But she hadn’t always been an old woman. In fact she was an 8 year old when Anna and Settie emigrated from Switzerland and she was 10 when Suel married Anna in Lehi, Utah. After Anna died, and then Suel and his first wife Elizabeth both died, Suel’s children from his first marriage (including Grandma C’s mother) continued to care for Settie. The story grew deep and rich as I kept putting together the details. The experiences of Anna and her daughter Settie have become meaningful to me in my own life. This research began with an almost blank family group record and blossomed into an inspirational chapter in my grandmother’s ancestral book. So what is my recommendation for beginning the life story of someone? Story or genealogical information? Although it works both ways, the research always adds to my body of knowledge and the sense of story. Even if it seems like there is nothing interesting to say about someone, I soon find some drama to ponder. But if I start writing the story before I know all the facts, I end up with many more re-writes. With Grandpa Jens, my first attempt at writing family history, I distributed some of those “finished” (so I thought) documents over the 25 or more years since I began to write his story. Then those people gave the story to other people. I smile with chagrin when I encounter one of the early versions unexpectedly, with or without my name attached, and I wish I could go back and gather up those incomplete histories and correct and expand them. Because I jumped straight into the writing from the limited information I had, I perpetuated mistakes (such as using the name Maren instead of Marie) and lost some credibility as a family historian. It takes some patience and some serious sleuthing to find the both the personal facts about someone and the social history of his or her time and place. In the case of Anna Weiss (I discovered the Swiss spelling of Anna White), I read volumes of information about the ocean voyage she was on, the company with which she crossed the plains and the two Utah communities in which she lived. 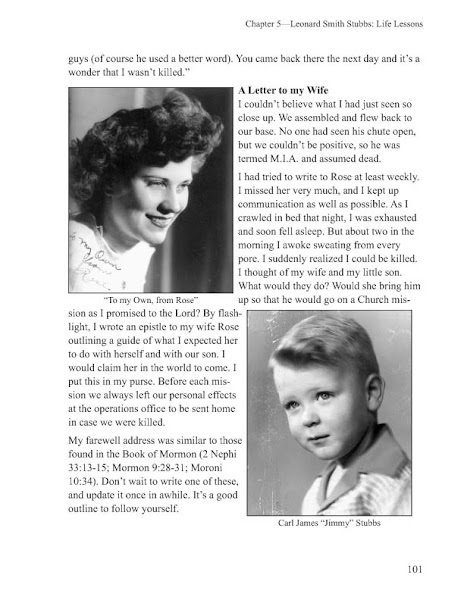 This was in addition to Swiss German research about her birth and her daughter’s birth, family sources where she or her daughter were mentioned, and newspaper research which ultimately yielded her short obituary. This research was well worth the time, however, when I finished a history of Anna Weiss that made her a person worth knowing, a worthy contributor to my heritage and a person that I would like to meet.